RIM And Not Samsung Was Behind Staged Protest Outside Apple Store? Well, this is all very interesting indeed. 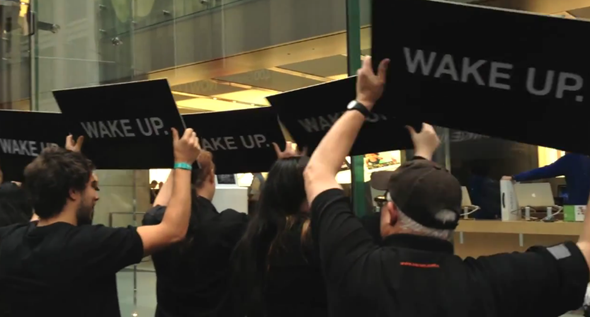 Remember that ‘Wake Up’ advertising campaign that was part of the reason a bus full of people turned up outside an Apple Store in Australia? Remember how the talk of the Internet was that the whole thing was part of a Samsung campaign against Apple? Turns out that might not be entirely accurate. See, the countdown timer that was part of the whole campaign doesn’t actually count down to the expected Samsung Galaxy S III announcement, as first thought, according to Macworld. Quite what that time is counting down to is still unknown, but all Macworld’s evidence is pointing to someone other than Samsung being behind the whole thing. In fact, Samsung itself has denied any involvement. How about RIM, or Research In Motion if we are going to use its Sunday name. Again, Macworld’s detective work has uncovered some code inside the website associated with the ‘Wake Up’ campaign that is actually a Doubleclick account identifier. Throwing that ID into Google comes up with some hits which are on Research In Motion’s Australian web site. We kid you not. Just as interesting, it would also appear that ‘Blunty,’ the person who just so happened to be near the Australian Apple store as the fun unfolded and filmed the whole thing, has worked for RIM in the past. Curiouser and curiouser. The real question we find ourselves asking is what does RIM hope to achieve with this offensive and, just as important, what is that counter counting down to? We can’t help but think that the Canadians would be better spending their resources on trying to compete with Apple and Google, rather than trying to sling mud on their direction, but maybe that is why we are not in charge of a multinational hardware company! 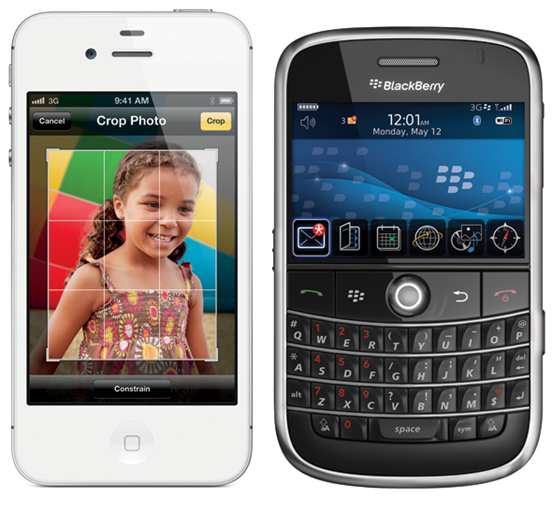 That said, the people at the helm of RIM aren’t exactly taking the smartphone world by storm either, are they?